Nice! Did you just swim out from shore for all those, including the sunken wreck photos? Just saw a 'modified' itinerary for Allure where they are shortening the time in a few stops due to "an unforseen technical matter with one of our three ship's propulsion pods" that requires the ship to go slower to ensure safety and comfort. their direct flights (Northeast to FLL) were the cheapest I've seen!! Freedom of the Seas in November felt like sleeping on a table wrapped in sheets. $46 is a good price. Grab it. Freedom. Better itinerary, Better ship. How many days, before the cruise, will the show times typically appear in the Cruise Planner? What is your best secret/piece of advice for new RC cruisers? 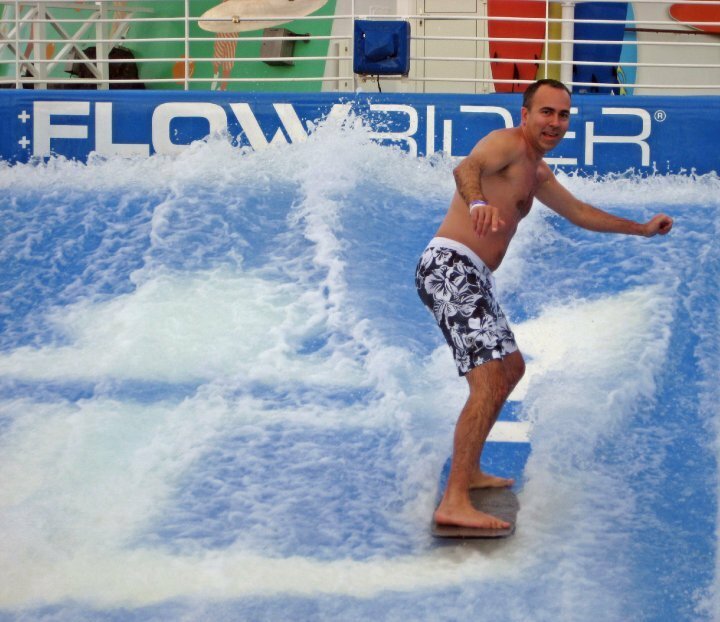 tie your swimtrunks REALLY TIGHT before going on flowrider. currently showing $52 on Allure for November. Usually get these around $42-$44 so I am watching for a deal. How Formal is Formal in Caribbean? our last cruise I did not pack any sportcoat, suit, or ties. It was WONDERFUL. I had less to pack, and I didn't have to change after dinner. Formal nights for me were dress shirt, dress pants, and shoes. Perfect. About 30% of the men were dressed this way (business casual). So much more comfortable for me. Will never wear a jacket/tie again on a cruise. I cannot access the Cruise Planner on RCCL website. Tried multiple browsers, cannot access cruise planner. Anyone else having difficulties today? Show Reservations vs. MyTime Dining - will it block me? Anyone here with experience with BOTH MyTimeDining and show reservations on the same cruise? I am on a future sailing of Allure with mytime dining. It is my first time doing MTD. I see the times for dining just opened up, so I started grabbing different timeslot for each day. The showtimes are not out yet. When they do come out, and I book my entertainment reservation - will the system prevent me if I have an overlapping meal? For example, I have a 6:30pm dinner reservation. The show time could be 8:00pm. The 'Cruise Planner calendar' shows 6:30-8:30 as my meal. Can I still book that 8pm show when it becomes available? Flight Schedule Change - now departing SJU at 11:06am. Is this doable or risky? I am not doing a review (sorry). But if your itinerary is in Barbados, then definitely be one of the first off the ship and head to "The Boatyard" via taxi. For $25/pp you get 2 chairs, umbrella, welcome drink, and a short snorkel trip to the shipwreck and the sea turtles. After the trip returned, i walked down the beach with my own equipment, swam out to the turtle area, and snorkeled for another 2 hours as the different tour groups came in. Saw 8 turtles! Freedom had the best entertainment I have ever seen on any Royal ship. Every show was good - and the guitar singer in the pub was excellent!